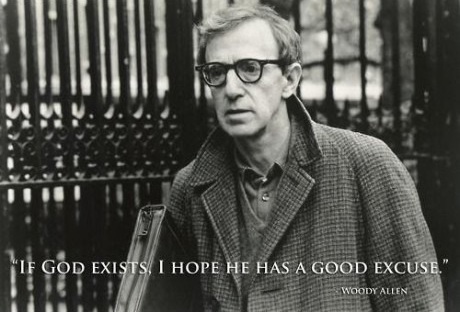 If God Exists. 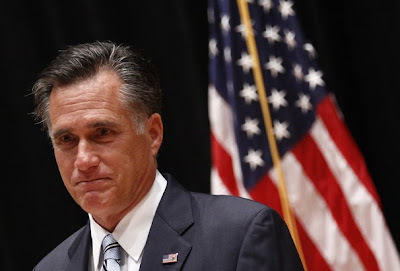 . .
Those are the words of Willard Mitt Romney's senior advisor, Beth Myers. She is trying to lower expectations for Willard in Wednesday's upcoming debate, in the hope that he won't be hurt too bad if he doesn't do well in that debate. That's really kind of silly at this point. Since the national conventions, Willard's campaign has been heading downhill. 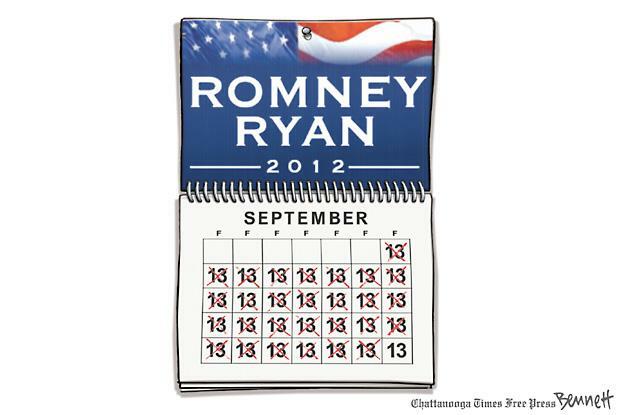 He MUST win this first debate, just to stop the bleeding (his continuous dropping in the polls). The president's advisors are also trying to lower expectations. But a win is not as critical for President Obama. If he just looks OK and the debate is considered a tie by most people, that would be nearly as good as a win for him. Willard's situation is different. More people view him unfavorably than favorably, and his gaffes in the last couple of weeks make it look like his campaign is floundering, and this is shown in recent polls (especially swing state polls). He needs to turn this around quickly, and a so-so performance or a tie will not do that. There are going to be three debates, but people are already voting in several states and soon will be in many more. That makes this first debate critical, and it's more critical for Willard because he's trailing. He can't count on future debates. He needs to win now. But that's not going to be easy, since most people already expect him to lose. 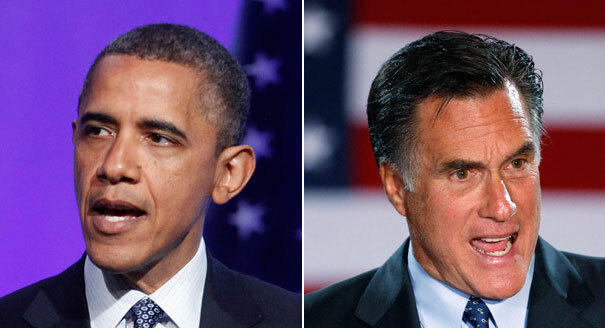 A recent CNN/ORC Poll shows that 59% think the president will win the debate, while only 34% think Willard will win. 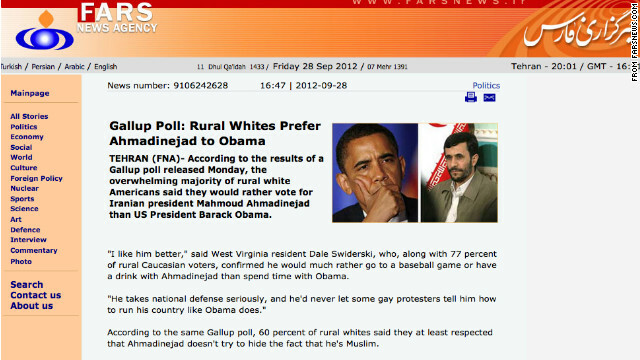 The FARS News Agency in Iran reported the above story as true -- that Iranian President Ahmadinejad was more popular than President Obama among rural White Americans. Although they reported the story as though it was their own (note the attribution above), it was taken, word-for word, from the Onion. It makes one wonder, are they intentionally lying, or do they not understand that the Onion is satire (and nothing in it should be taken literally or seriously)? This is definitely an EPIC FAIL! The chart above shows the number of times convention speeches (and Willard's 47% speech) have been viewed by the users of YouTube. 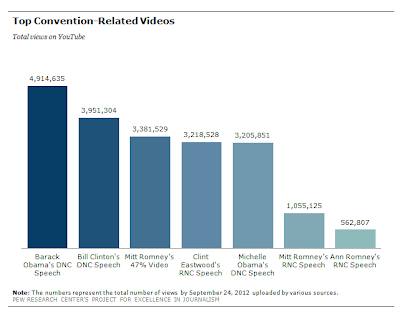 Note that the president's convention speech has been viewed almost five times as much as Willard's convention speech (and Bill Clinton's speech was viewed almost four times as much as Willard's). In addition, Michelle Obama's convention speech was viewed nearly six times as much as Ann Romney's speech. I don't know that this means anything as far as the election is concerned. 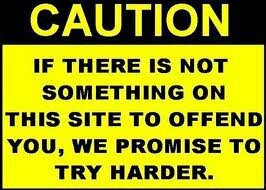 It may or may not. But it has to be encouraging for Democrats and depressing for Republicans. If any of the activities (whether or not substantial) of your organization consist of participating in, or intervening in, any political campaign on behalf of (or in opposition to) any candidate for public office, your organization will not qualify for tax-exempt status under 501 (c) (3). Such participation or intervention includes the publishing or distributing of statements. Now that's some pretty clear language. Churches simply cannot take sides in this country's political elections -- either for or against any candidate. This does not mean that ministers, preachers, priests, or other church officials cannot take a political stand and make it known. 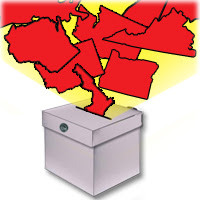 They just cannot do it on behalf of the church (or religion) and/or make it seem that the electoral activity is a part of church policy, belief, or dogma. In other words, no preacher can preach from the pulpit in a religious service that the church (or religion) supports or opposes any candidate or political party -- and documents, videos, and such, cannot be distributed by the church (or religion) on behalf of, or opposed to any candidate or political party. If a church or religious organization that is tax-exempt does take sides in a political contest, then it is violating the tax laws of the United States -- and it should lose its tax-exempt status. But there are a number of right-wing, mostly fundamentalist, ministers that don't like this law. They are not happy with their right to state their own opinion on politics. They want to make their own opinions the official policy of their church (or religion). They know that an official stance of the church will sway the votes of church members more than the personal opinion of a preacher. Of course, these ministers are right-wing Republicans who oppose the re-election of President Obama, and they want to preach from their pulpits that a vote for the president would be a vote against christianity. And next Sunday (October 7th) nearly 1,000 of these right-wing preachers are going to intentionally violate the law. They are going to preach from their pulpits, during their church services, that their members should vote against the president (or for the Republican candidate). And they have said they will tape their political sermons and send them to the IRS -- virtually daring them to try and take away their church's tax-exempt status. Now, I don't expect the government to do anything about this before election day. The Democrats don't want to make it look like they are opposing christianity in general. 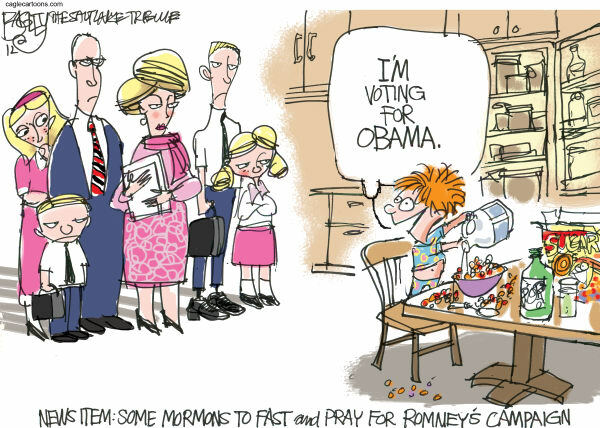 And sadly, due to the timidity Democrats have shown regarding religion, they probably won't even do anything after election day. But they should! 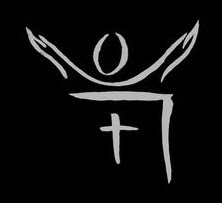 The IRS should revoke the tax-exempt status of every one of the churches where this law-breaking occurs -- and that status should not be restored until those churches promise and demonstrate (by terminating those law-breaking ministers and preachers) that such activity will not happen again in the future. These ministers want their churches to be exempt from all laws. 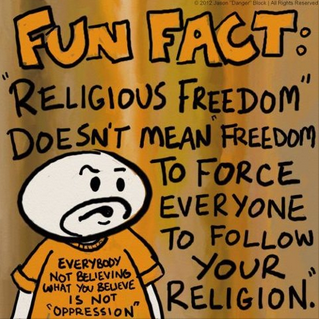 That's their misguided view of religious freedom. It's also a ridiculous view. 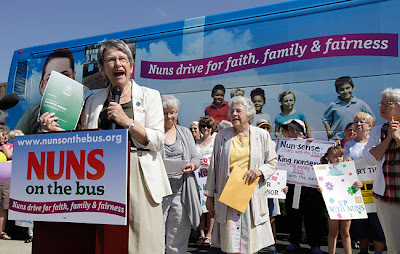 We do not exempt religious organizations from other laws. 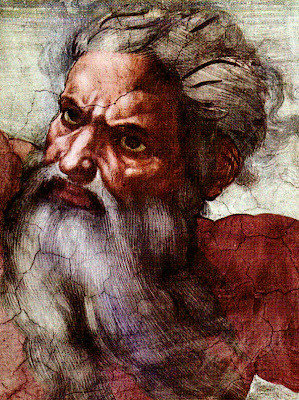 For example, churches cannot condone and allow pedophilia, or polygamy. Churches cannot steal the money or property of others (such things must be willingly and freely given). Churches cannot order or carry out the murder of those who are not believers, or torture those who don't abide by church policy. 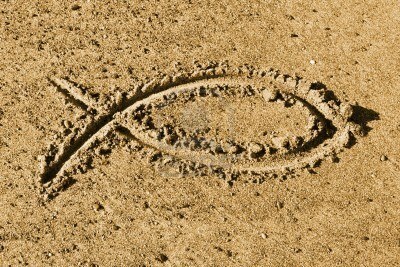 Why should tax law be any different from other laws that we expect churches to obey? These ministers and preachers are wrong, and their law-breaking should be punished. We are a nation of laws, and that should include everyone -- even right-wing preachers. 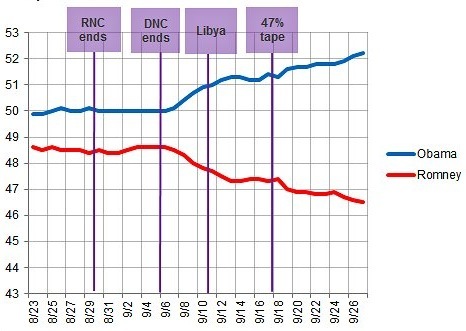 The above top chart was compiled by poll analyst Nate Silver, using a combination of recent national and state polls. 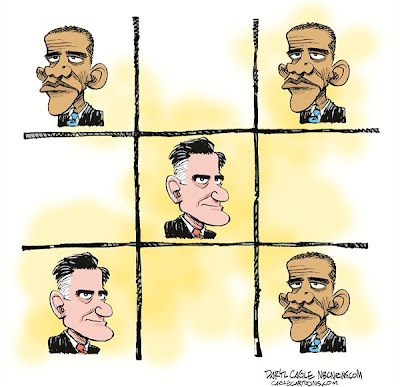 It shows that although Willard Mitt Romney (aka Wall Street Willie) got no bump from his party's nominating convention, President Obama got a nice bump from his own convention. 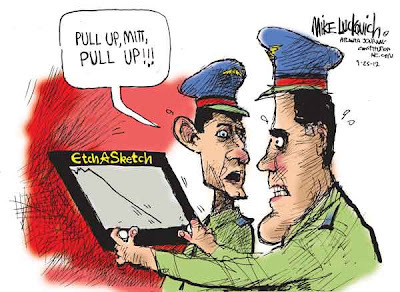 Furthermore, Willard's mishandling of the Libyan situation and his disdainful remarks about 47% of the population added to the president's bump in the polls, giving him at least a six point poll margin. I'm sure that is true, but for weeks before the conventions Willard was unable to get significantly ahead of the president in any polls, in spite of a faltering economy and an unemployment rate that has remained above 8%. That goes against the predictions of most pundits, who thought Willard would have an edge because of the economy. 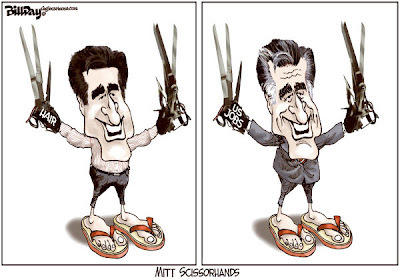 Why has Willard been unable to use the economy to his advantage? Why is the best he has been able to achieve a tie in the polls (before his campaign began spiraling downward after the conventions)? 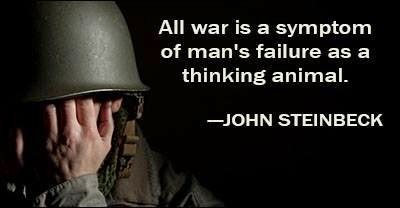 I think it stems from one undeniable fact. A lot of people just don't like Willard. In fact, the number of people with an unfavorable opinion of Willard exceeds the number with a favorable opinion of his -- and it has been that way for months. The bottom chart shows this. 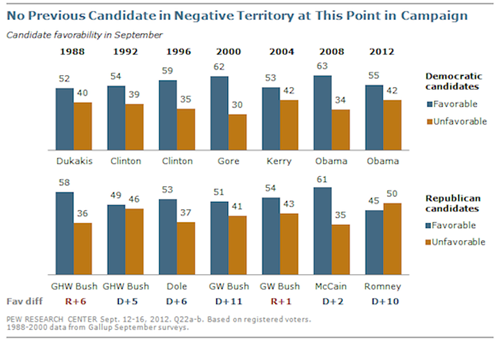 Willard is the only candidate in recent history (looking at both winners and losers) to have a higher unfavorable than favorable rating this late in a presidential campaign. The truth is that most people just don't like Willard as a person. Republicans might be able to hold their noses and vote for him anyway, but it is unlikely that many Independents will do that -- and that's a big problem for Willard's chance to be elected. 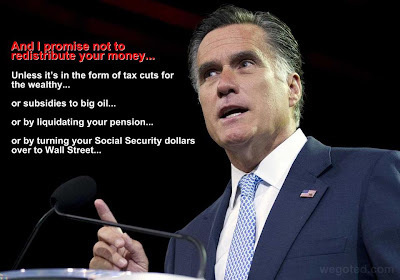 Unless you've been living in a cave in the middle of nowhere, you've probably heard about Willard Mitt Romney (aka Wall Street Willie) and his disdain for 47% of the American people. He was trying to get in good with a bunch of his rich donors, and noted that nearly half of Americans were too lazy to pay any income taxes. He claims he was misunderstood, but it was obviously an attempt to get more money from those rich people by commiserating with how they are abused because they have to pay income taxes. The truth is that every single one of that 47% of Americans would love to have to pay income taxes. They would love that because that would mean they make a pretty good income -- enough to assure them of a decent living. 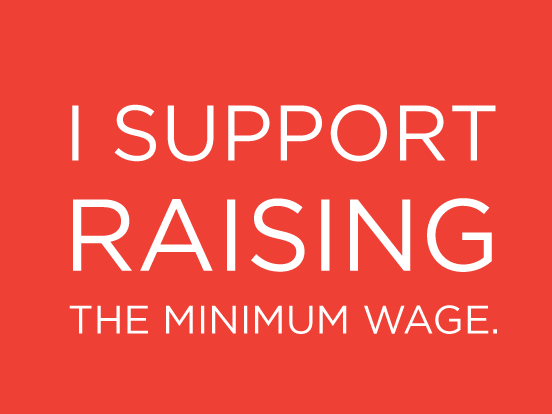 The very idea that these people intentionally make a small income just so they won't have to pay income taxes is offensive -- and it shows that Willard has no idea about how hard life is in this country for low-wage workers and those who must live on a fixed income (like the elderly and the disabled). And of course, the way Willard phrased his disdain for these people made it sound like they pay no taxes at all. That is an outrageous idea. All Americans pay taxes, even the poorest Americans. When other taxes are included (like sales taxes, property taxes, payroll taxes, etc. ), we find that the poorest Americans, those in the bottom fifth of the population in income, average paying 17.4% of their income in taxes -- which is a big hit considering the low incomes of that group. The majority of Americans pay between 25% and 30% of their income in taxes. But even if we consider only those who pay income taxes (and disregard other kinds of taxes), the United States is pretty lucky to have such a large percentage of the population (53%) doing well enough to pay those taxes. Many other countries have a much smaller percentage paying income taxes. 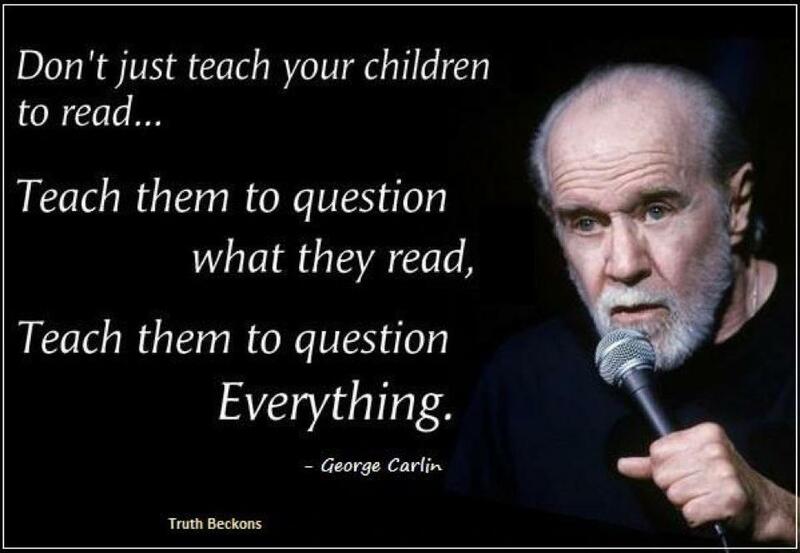 Take India for instance. In that country anyone who makes $3,700 a year (or about 3 times that country's per capita income) must pay income taxes. That means a whopping 2.8% of their population pays income taxes. In China, the percentage is even smaller. Only 1.72% of the Chinese population qualifies to pay income taxes. That means 97.2% of India's people and 98.28% of China's people don't pay any income taxes (which combined represent about 1.3 of the world's population not paying income taxes -- and that doesn't include any other countries). 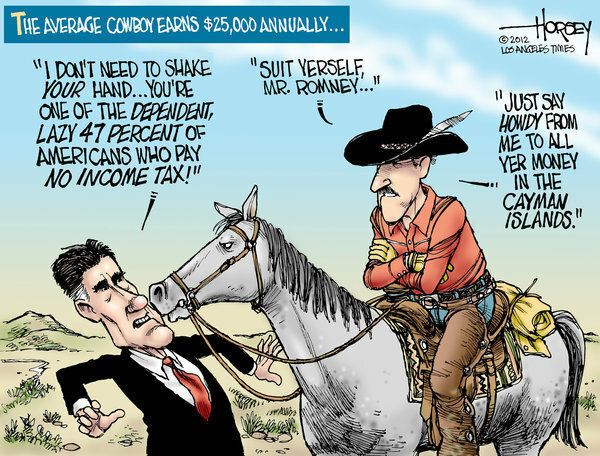 It is not shameful that only 53% of Americans pay income taxes. What is shameful is that 47% of the people in the richest country on Earth have such a small income that they don't qualify to pay income taxes. Guess which political party is responsible for that. 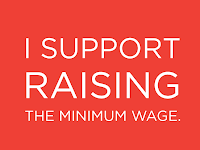 It's the same party that has kept the minimum wage at such a low level (and would like to abolish it completely) -- the Republican Party. Willard should be ashamed of his statement, and so should his Republican and Wall Street cohorts. A Sense Of Humor ? I think the two biggest factors driving this election, at least so far, are the economy (including jobs) and the likability of the two candidates. But there is another area that should be important -- energy policy. With this country importing much of the oil it uses, and the looming threat of global climate change due to the overuse of fossil fuels, the energy policy of the two major candidates should be of prime importance -- and their policies are vastly different in almost every area. 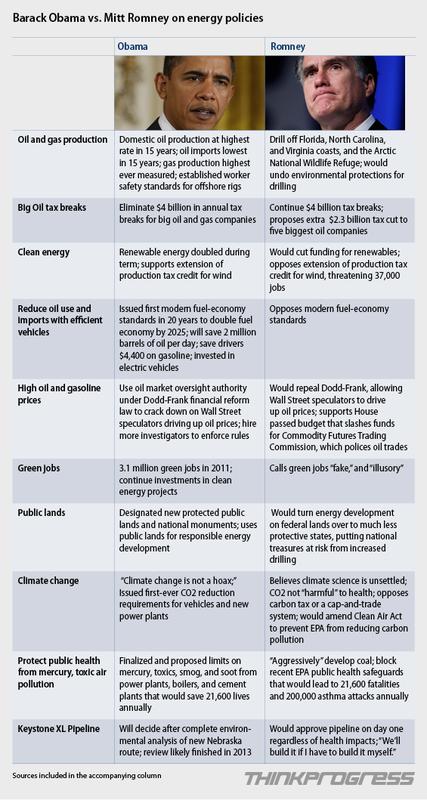 The chart above, from Think Progress, shows where the candidates stand on all the important aspects of energy policy. The two graphs above show a serious problem that Willard Mitt Romney (aka Wall Street Willie) has in this election -- the tax rate he has paid. The top chart shows Willard's tax rate compared to other presidents. Only one president has had a smaller tax rate than Willard -- President Nixon (certainly not remembered as one of the most honest presidents). All of the other presidents have paid a significantly higher tax rate than Willard. 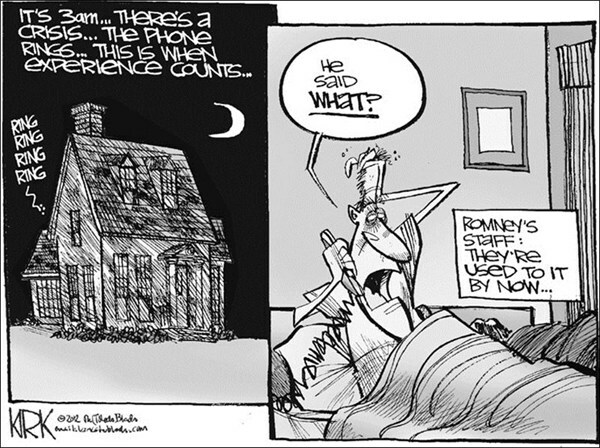 In fact, Willard could have paid an even lower rate for 2011. His rate was about 14% (lower than quite a few middle class taxpayers), but if he had declared all of his "charitable" contributions that rate could have dropped to about 9%. 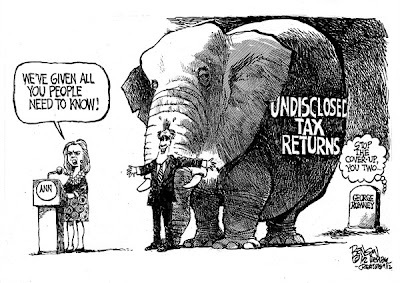 Willard knew a 9% rate would infuriate most voters so he didn't claim all of those deductions (but will probably claim them on returns for future years). 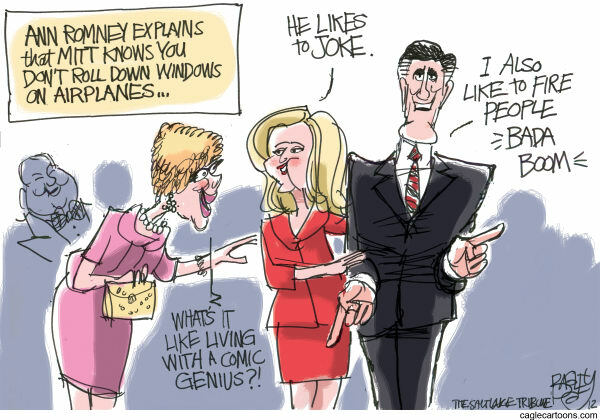 And the people are not happy that Willard, who makes many millions of dollars a year (for doing no work), pays a smaller percentage of his income than a middle class taxpayer (who had to work hard for every penny earned). 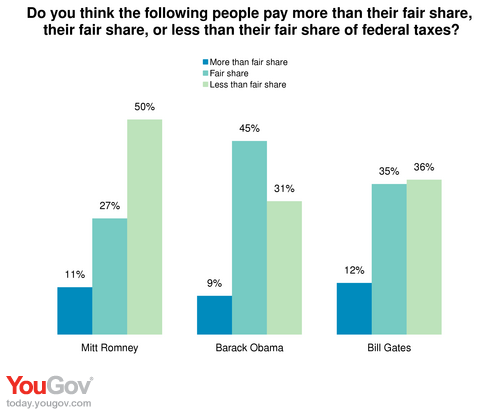 A recent YouGov Poll (illustrated in the bottom chart) shows that 50% of the public doesn't think Willard pays his fair share of taxes. And you can bet that if they already think he pays too little, they certainly aren't going to be happy with his proposed massive new tax cut for rich people like him. Of course, this again brings up the question of why Willard won't release more of his tax returns (like President Obama and Willard's own father, both of which released 12 years worth of returns). Are there a bunch of years where he paid a percentage lower than 9% -- maybe even nothing at all? WHAT IS HE TRYING TO HIDE? 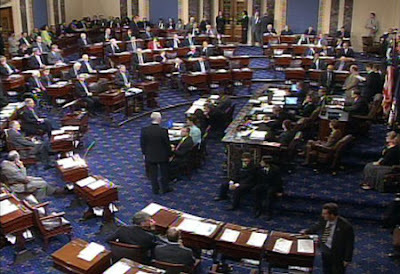 A few months ago, the Republicans had high hopes of flipping the Senate from Democratic to Republican control. And many pundits thought they could do it. If that happened, it could end any hopes President Obama had (even if he was re-elected) of improving the economy and the jobs situation in this country. 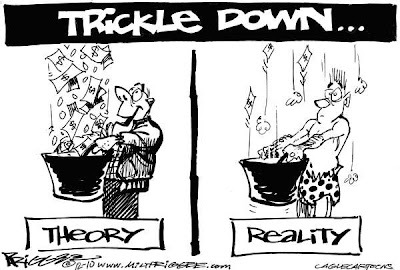 With control of both Houses of Congress, the Republicans could probably force a continuation of Bush-style "trickle-down" economic policy giving huge new tax cuts to the rich, and cutting government help for all other Americans. Tidal Energy Is Finally A Reality In The U.S. The chart above shows the amount of the world's energy that is generated by renewable energy sources. Note that since 1980, the amount of energy from renewable sources has more than doubled. But this still represents only a small fraction of total energy generated. Here in the United States, less than 9% of our energy is currently generated using renewable sources. The largest amount of energy from renewable sources has traditionally been hydroelectric (in blue on the graph) -- and that is still the case. No other renewable source even comes close. 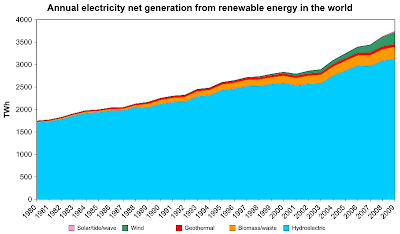 Since the late 1980's biomass energy (in yellow) has been growing, and since the late 1990's wind energy (in green) has also assumed a larger share and still growing share of energy production. The fourth source with statistically significant production of energy is geothermal (in red). There is one more energy group (barely visible in pink at the upper right-hand part of the graph). It is composed of solar/wave/tidal energy production. We have all heard about the promise of solar energy. Currently, there is much research being done on it -- trying to develop cost-effective solar panels to generate energy. But one source of energy production that most Americans haven't heard much about is tidal energy -- and it may be the most reliable of the renewable energy sources. Rivers can dry up, the sun can be hidden by clouds, and the wind doesn't blow 365 days a year (even in the windiest areas). But the tides are always present and moving, and that tidal movement can be tapped to produce energy. Until recently in the western hemisphere, this has just been theory. But it is now a reality. On September 13th, electricity began flowing from a ocean turbine powered by the tides. The feat was accomplished by the Ocean Renewable Power Company in the state of Maine. So far, there is only a single turbine and the amount of electricity is just a trickle -- about 180 kilowatts (or enough energy to power about 25 to 30 homes). But the company is to install more turbines, and has contracted with the Main Public Utilities Commission to produce 5 megawatts (a megawatt is 1000 kilowatts). This is just a small beginning, but it is one with a lot of potential in this country (a country with thousands of miles of coastline). Tidal energy is unlikely to become the nation's dominant source of renewable energy, but it could one day produce a significant chunk of the nation's energy. If you'd like to read more about Maine's accomplishment, you can go to the blog Thurman's Soapbox. 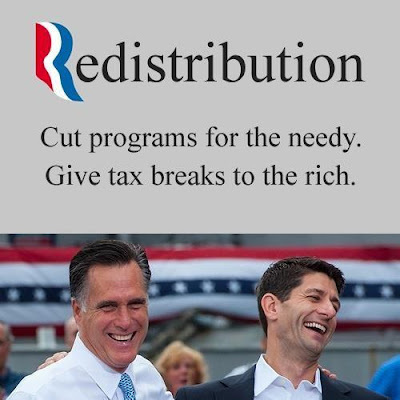 Paul Ryan and Willard Mitt Romney have a plan that they say will fix all the problems of Medicare. They want to abolish it, and then replace it with a voucher system. They say that seniors currently on Medicare won't be affected at all, and that the voucher system will be better for people in the future. Those are both outrageous lies! Americans of all ages will be financially affected by the Republican plan, and will have to pay thousands more dollars out of their own pockets. Ryan and Romney are rich, so they don't care. But most Americans are not rich, and they can't afford the heavy costs of the GOP plan. Abolishing Medicare is more than a bad idea -- it's insane! WHAT SHOULD MEDICARE LOOK LIKE IN THE FUTURE? As you can see, there is very little support for the Ryan/Romney voucher system. People are starting to realize that while it may be good for the rich, it is a very bad deal for all other Americans. This does not mean that people don't realize the current system has some problems -- they do. About 71% in Florida and 76% in Ohio and Virginia say that some changes must be made to the current system to keep it viable for future generations. But they're not ready to scrap the system -- and they don't want any reduction in Medicare spending (even to reduce the deficit). PERCENT SAYING DEFICIT CAN BE REDUCED W/O REDUCING MEDICARE SPENDING. 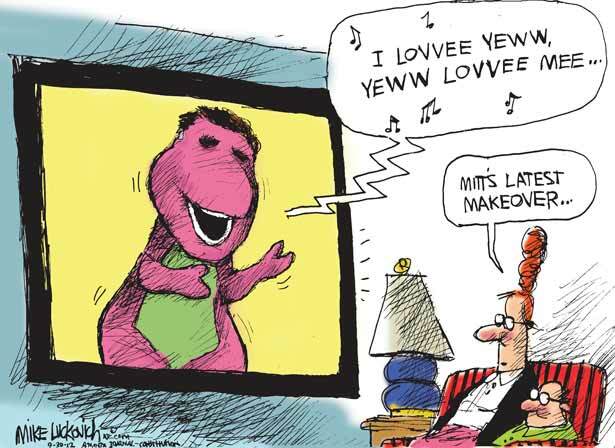 It looks like Willard Mitt Romney (aka Wall Street Willie) made a critical mistake in picking Paul Ryan to be his running mate. It has tied him to Ryan's insane scheme to destroy Medicare, and it is costing him votes. The states above are critical for Willard's chances of winning this election. 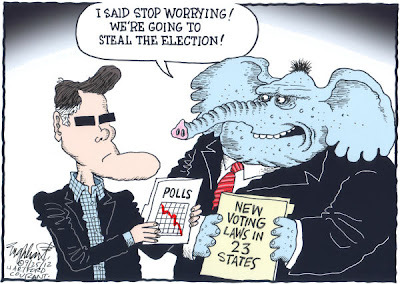 If he loses one of these states, he must carry all of the other swing states to get enough electoral votes to win. 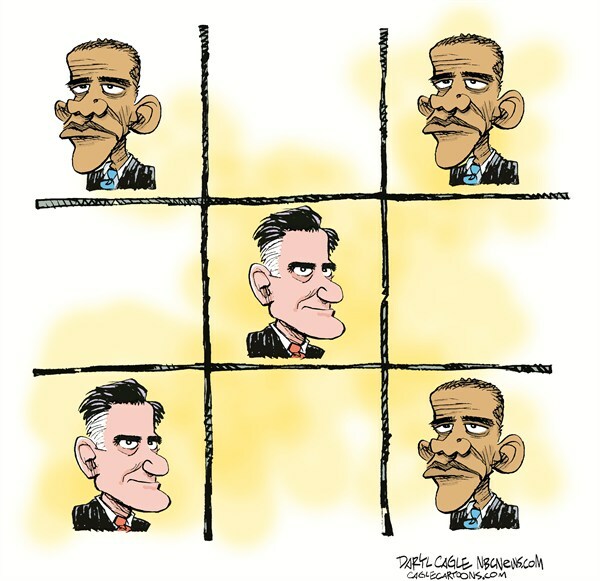 And if he loses two, or all three (as it now seems likely), he has no chance at all of winning. I have posted these figures before on this blog, but they warrant repeating. 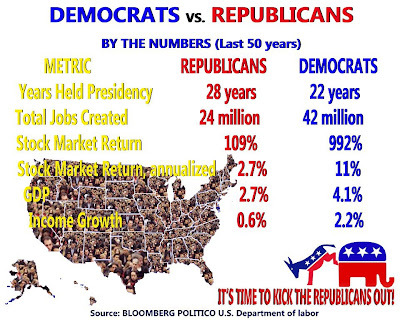 The Republicans still claim to be the party of economic growth and job creation. The facts show a different picture. 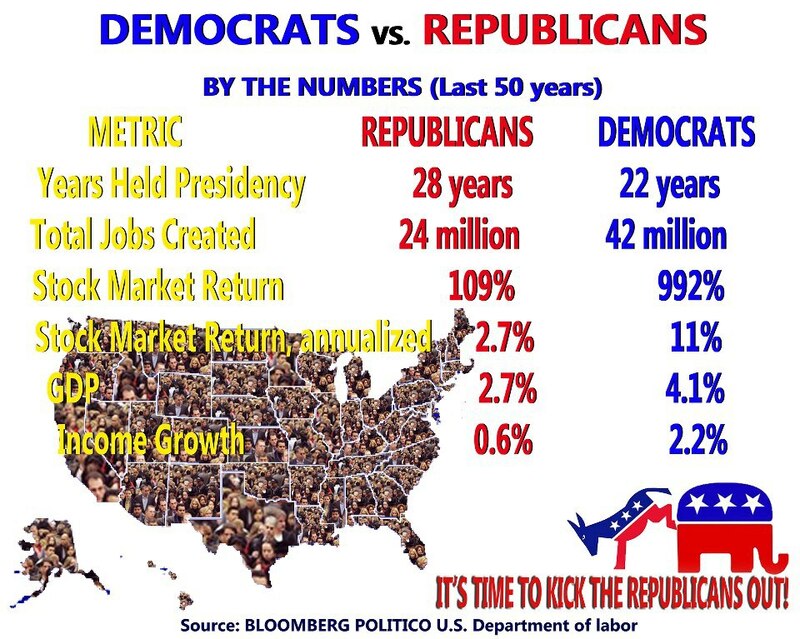 There has been far more economic growth and private sector job creation under Democratic presidents than under Republican presidents. 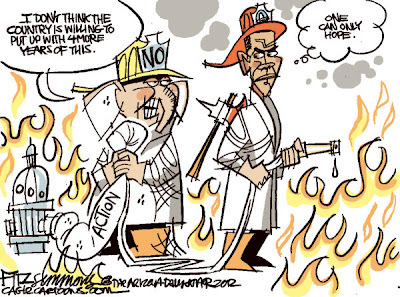 The Republicans are simply lying -- which is the one thing they do very well. 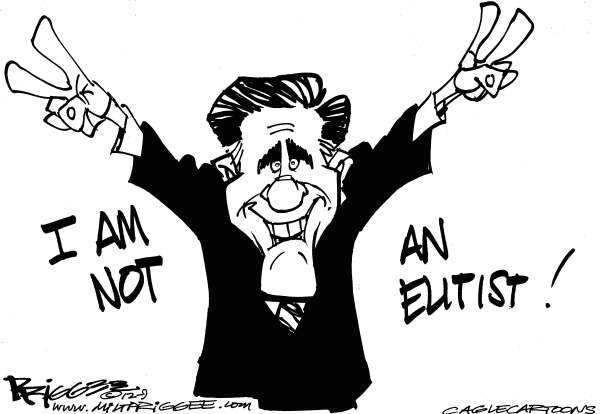 Willard Mitt Romney (aka Wall Street Willie) screwed up big time when he met with a group of his largest donors -- all members of the 1% like him. He forgot we are now living in the digital age, where nearly any cell phone can take video (and where most Americans, even poor Americans, have one of those cell phones), and he told his rich brethren what he really thought of ordinary Americans -- expressing disdain for 47% of the population. That event was videotaped surreptitiously, and now Willard's heartless appraisal of the poor, the elderly, low-wage workers, the disabled, and active-duty soldiers has become common knowledge to millions of voters. 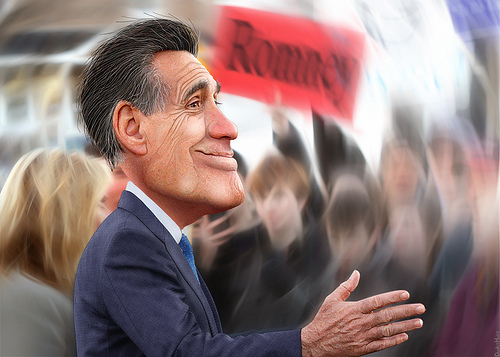 Since the video was obtained by Mother Jones magazine and released to the public, the Romney campaign (and other right-wingers) have been dancing as fast as they can to prevent it from seriously hurting Willard in the presidential campaign. But it looks like all their dancing has been for naught. People simply don't like what Willard told his rich friends, and many of them are reappraising whether they think Willard can be trusted to be president of this country. This is verified by a new Washington Post/ABC News Poll. The poll shows that a majority of Americans (54%) view Willard's 47% statement negatively, while less than a third of Americans (32%) view it positively. It's not really surprising that 3/4 of Democrats view Willard's remarks as negative, while about 2/3 of Republicans view it positively. That was to be expected. 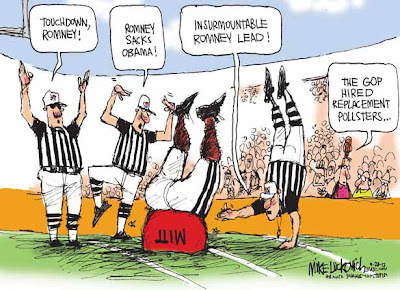 Where Willard has really hurt himself is with the Independents (a group he must win a majority of to have a chance in this election). About 57% of Independents view the statement negatively, while only 27% viewed it positively (more than a 2 to 1 margin against Willard). And that's not the only bad news for Willard. 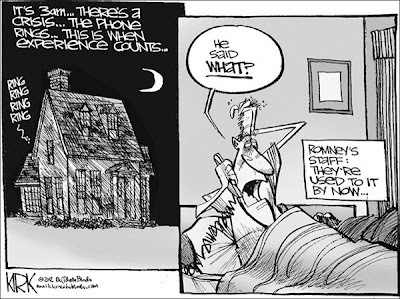 Now about 61% of all Americans have a negative view of how he's running his campaign in general. That figure jumps up to 64% for Independents (and 66% for women Independents). In comparison, about 54% of all Americans now have a positive view of how the president is running his campaign. Willard is in trouble. He must change this image of him and his campaign -- and it must be done quickly (since early voting is already going on in many states). This makes the first debate, to be held in a few days, a critical event for Romney. If he's not perceived as winning that debate, it could all be over but the shouting. Political Cartoon is by Kirk Walters in the Toledo Blade. 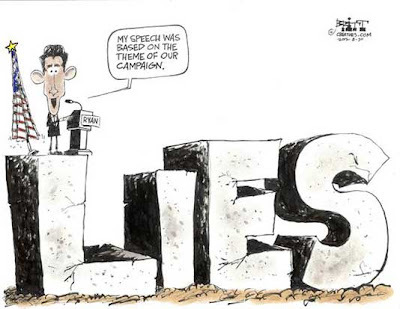 Paul Ryan was brought on board Willard's campaign because it was believed that he could lie so well that he could make Republican "trickle-down" economics look like a viable alternative again (even though people still remember what it brought under Bush -- deep recession and millions of lost jobs). Unfortunately for Willard and Ryan, Bill Clinton shot that argument down easily with just one word -- "arithmetic" (it just doesn't add up). “The things you talk about like traditional marriage and family and entrepreneurship. These aren’t values that are indicative to any one person or creed or color. 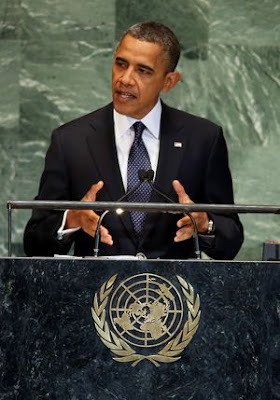 These are American values, these are universal human values." The operative phrase in that sentence is, of course, "traditional marriage". It doesn't matter that there's no such thing as traditional marriage (since it has changed several times just in the last couple of hundred years in this country). 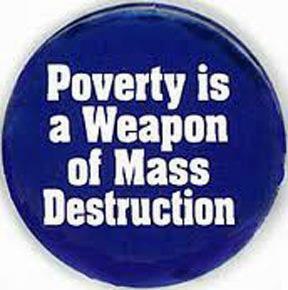 The term is a code that's easily recognizable by the fundamentalist teabagger base of the Republican Party. The know that "traditional marriage" is to be translated to mean "there's no way we're ever going to give lesbians and gays equal rights". Paul tries to hide his bigotry behind a facade of patriotism, calling it an American value. But it doesn't matter whether it's hidden as patriotism or as religion -- it's still bigotry, and bigotry is not an American value or a universal human value. It wasn't a value when it was used to deny basic rights to minorities, and it wasn't a value when it was used to keep women as second-class citizens. And it's not a value when it's used as a tool to discriminate against homosexuals. It is just old-fashioned bigotry. 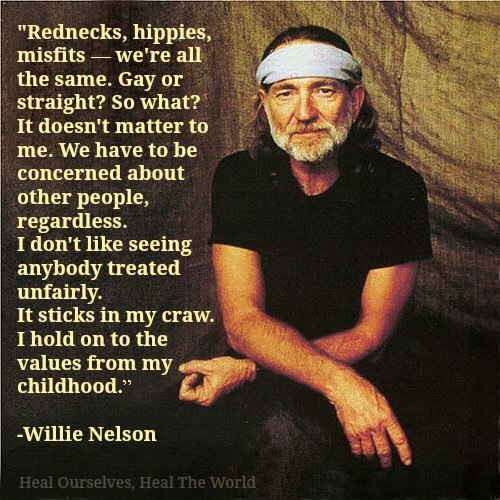 What is an American value is equal rights. It's such a big American value that it is included in the United States Constitution. That means the government (local, state, or federal) cannot single out a group and treat them differently, by denying them rights that are guaranteed to all other groups. 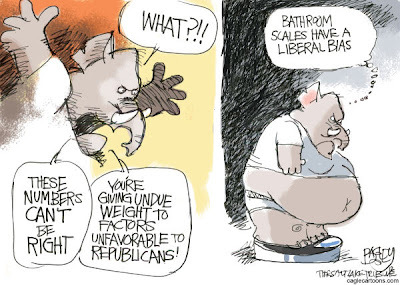 In short, bigotry is unconstitutional -- even when disguised as patriotism or as religion. 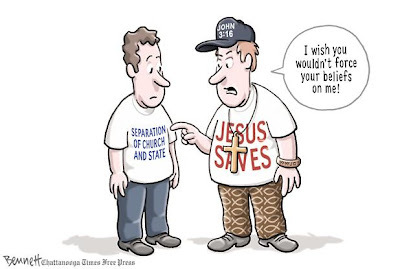 Right-wing fundamentalists are in control of the State Board of Education in Texas. They, with the blessing of Governor Rick Perry, have refused to adopt the more rigorous national standards in education that most other states now use. Instead, they have injected their religion in science classes and their replaced real history with their own right-wing ideology. The chart above shows the result of this. SAT scores are dropping each year, and currently are the lowest they have been in over a decade. But these right-wing fundies don't care. For them, propagandizing the students of Texas is far more important then educating them. 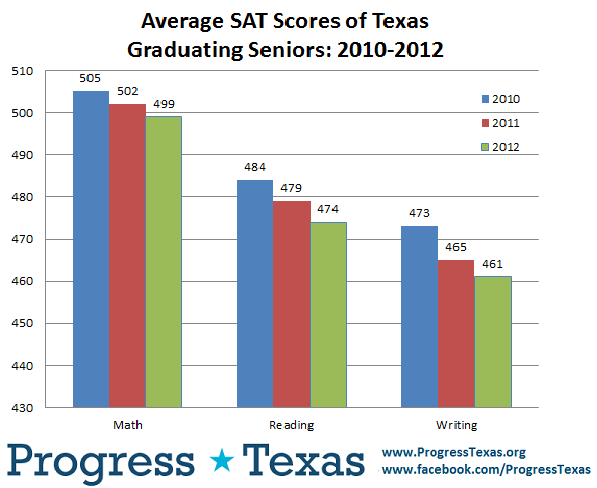 And the Republican-controlled state legislature is complicit in this destruction of education in Texas. They could have stepped in and reined in the Board of Education, but they didn't. Instead, they compounded the problem by slashing $5 billion from education funding (even though Texas already had the lowest per pupil funding level for education in the country). This has resulted in an increase in class sizes, because thousands of teachers have had to be laid off. The Texas Legislature and the Texas State Board of Education have combined to do serious damage to the state's education system. What's worse is that the people of Texas don't seem to care. It is highly likely that after the November election both of these entities will still be controlled by fundamentalist right-wing teabaggers --and they will undoubtably continue in their quest to destroy public education in Texas. 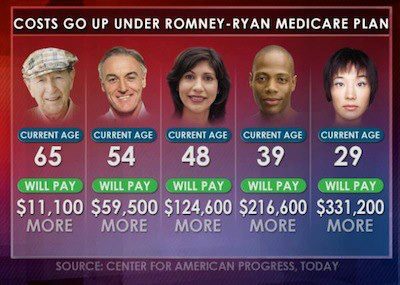 This graphic shows just how clueless Willard Mitt Romney (aka Wall Street Willie) is about health care. He thinks a trip to the emergency room is health care. It's not. 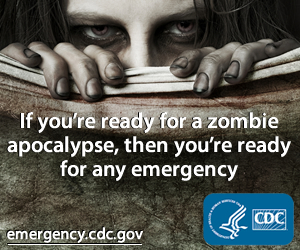 A trip to the emergency room is emergency care. 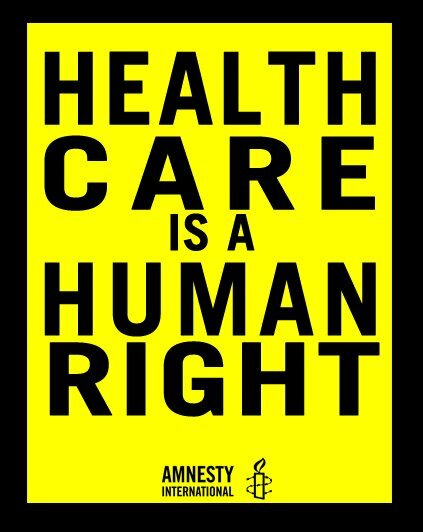 The emergency rooms in this nation are being clogged up with people for whom it is the only care they can get. But anyone whose only health care is done at an emergency room is missing out on one of the most important parts of health care -- preventative care. Far too often, those people receive care too late to be helped (when true preventative care could have saved their lives). 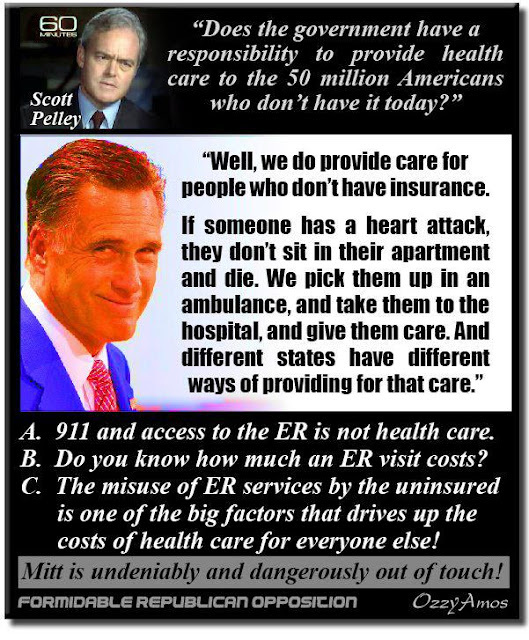 Willard has also said these people receive "free" care at the emergency room. What planet does he live on! There is nothing free about emergency room care. If the person receiving the care is too poor to pay the bill, then you can bet someone else will have to pay. If it's a public hospital, then the public will pay through higher taxes. If it's a private hospital, then hospital prices will be raised to cover the cost -- and those higher prices will drive up the cost of health insurance for everyone. 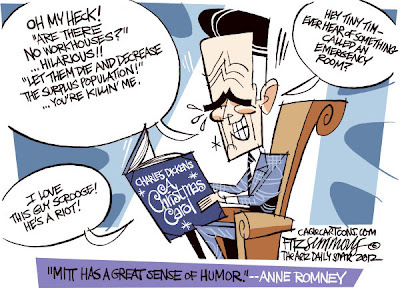 Willard was born on a pedestal of privilege, and has lived his entire life on that pedestal. He needs to climb down and at least try to understand how the other 99% live, especially the poor. 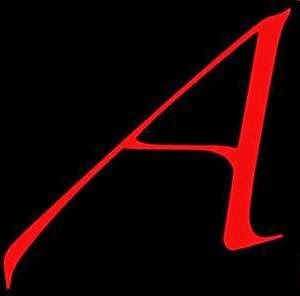 I am an atheist, but that does not mean there are no religious people that I respect. There are many that I respect for their work to make life better for their fellow human beings. I don't need to agree with their religious views to recognize the wonderful work they are doing. One of the groups I have recently come to respect are the catholic nuns who criss-crossed this country in an effort to highlight the fact that the proposed Republican budget (backed by the Ryan/Romney ticket) would be devastating to the lives of millions of hurting Americans. These wonderful ladies are not really campaigning for or against any candidate or party. They are simply working for government policies that will help instead of hurt those people who struggle to survive at the margins of our society. In short, they are just following what I was brought up to believe the christian message was all about -- that we are our brother's keeper. And while I doubt their religious beliefs, that message is one we should all support (regardless of what religion we practice, and even those of us who practice no religion at all). I mean, it was shocking to me that a person who says he wants to be the leader of our nation believes that 47 percent of our country is basically lazy or dependent or indolent. That was shocking to me. But then, it broke my heart that he would be so out of touch, that he would so not know the truth of folks at the margins of our society who work so hard. And he obviously doesn’t know that if you work a minimum wage job, if you’re a child care, if you’re providing janitorial services, or if you’re a day laborer, if you work for minimum wage, you’re still in poverty. He has no idea how hard it is at the margins of our society. She's right. 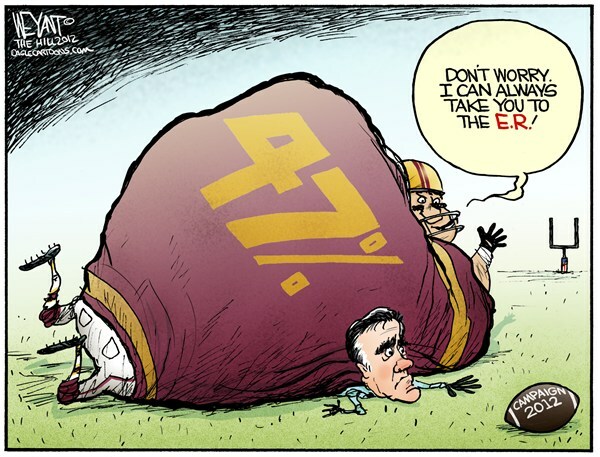 Willard simply doesn't understand the problems facing millions of Americans in this poor economy. And personally, I think that should disqualify him from becoming president. For the first time in decades, Tunisians, Egyptians, and Libyans voted for new leaders in elections that were credible, competitive, and fair. This democratic spirit has not been restricted to the Arab World. Over the past year, we have seen peaceful transitions of power in Malawi and Senegal, and a new President in Somalia. In Burma, a President has freed political prisoners and opened a closed society; a courageous dissident has been elected to Parliament; and people look forward to further reform. Around the globe, people are making their voices heard, insisting on their innate dignity, and the right to determine their future. 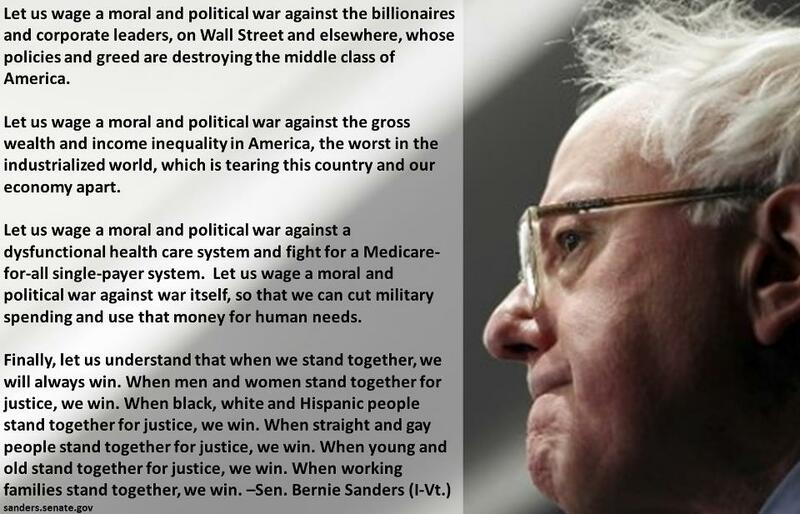 And yet the turmoil of recent weeks reminds us that the path to democracy does not end with the casting of a ballot. Nelson Mandela once said: "to be free is not merely to cast off one's chains, but to live in a way that respects and enhances the freedom of others." True democracy demands that citizens cannot be thrown in jail because of what they believe, and businesses can be opened without paying a bribe. It depends on the freedom of citizens to speak their minds and assemble without fear; on the rule of law and due process that guarantees the rights of all people. Moreover, there will always be those that reject human progress – dictators who cling to power, corrupt interests that depend upon the status quo; and extremists who fan the flames of hate and division. From Northern Ireland to South Asia; from Africa to the Americas; from the Balkans to the Pacific Rim, we've witnessed convulsions that can accompany transitions to a new political order. At times, the conflicts arise along the fault lines of faith, race or tribe; and often they arise from the difficulties of reconciling tradition and faith with the diversity and interdependence of the modern world. In every country, there are those who find different religious beliefs threatening; in every culture, those who love freedom for themselves must ask how much they are willing to tolerate freedom for others. 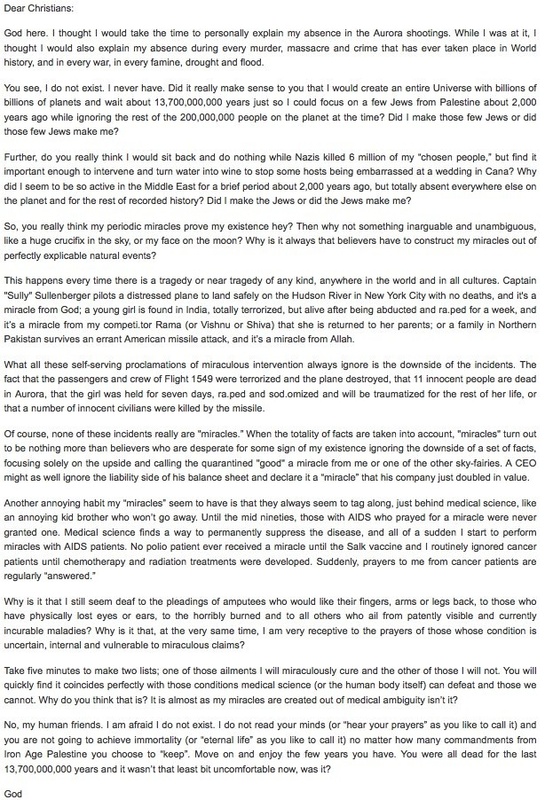 I know there are some who ask why we don't just ban such a video. 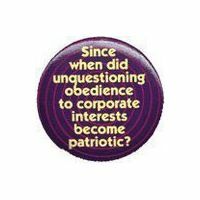 The answer is enshrined in our laws: our Constitution protects the right to practice free speech. Here in the United States, countless publications provoke offense. Like me, the majority of Americans are Christian, and yet we do not ban blasphemy against our most sacred beliefs. Moreover, as President of our country, and Commander-in-Chief of our military, I accept that people are going to call me awful things every day, and I will always defend their right to do so. Americans have fought and died around the globe to protect the right of all people to express their views – even views that we disagree with. 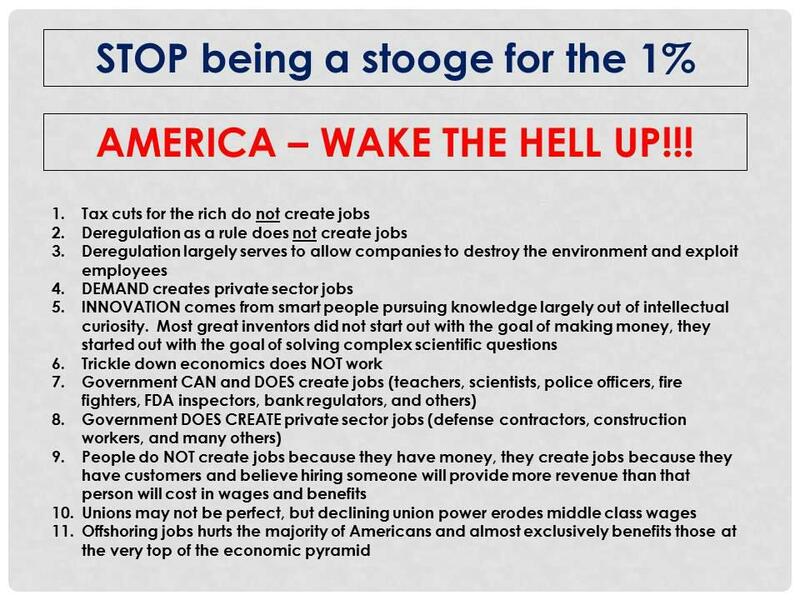 Just wanted to make the point again that there is ALWAYS redistribution in this economic system (and in all others). The Republicans want that redistribution to take money from the middle class, the poor, and the elderly, and send it up to the rich. Is that what you want? 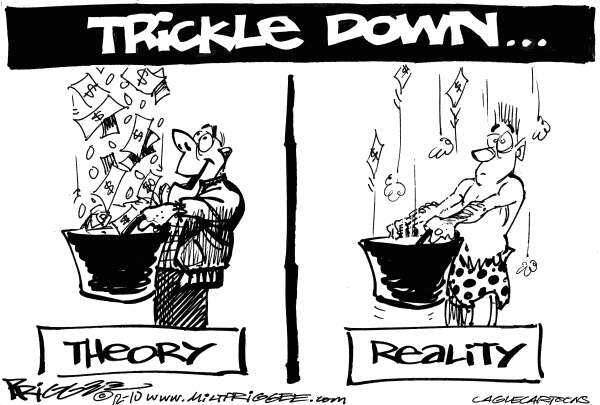 Wouldn't our economy not only be fairer, but also healthier, if the redistribution went down from the top instead of up to the top? 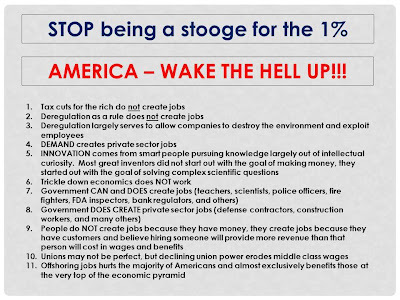 Demand (and therefore jobs) is created when the mass of ordinary Americans have money to spend -- not by giving the richest people even more money.